LC GLOBAL® Consulting utilizes a unique change and innovation consulting approach with a proven success record in organizations around the world. 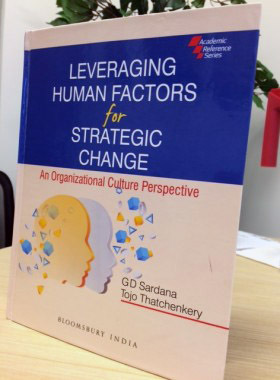 Our three-fold method is embedded in the fields of Organizational Behavior and Systemic Organization Development. We leverage the power of Appreciative Intelligence™, Systems Theory and Collaborative Process Consulting to help your organization tap into its unique potential. A case study which features the application of our consulting approach was published in December 2014 and accepted for an academic publication in a Sage Journal in 2015. We mentor you to success! We support you in going global! We capture the best your organization offers! Your organization is full of potential and resources. To connect your business with the best of its capabilities, we focus on the best it has to offer. In our initial appreciative assessment, we identify unique values and success factors, effective procedures and behavior to leverage the existing successful essentials towards future development and growth. We translate vital factors into consistent action! We take the identified success factors and display them in all units of your organization. We raise the collective awareness around how to translate these success factors and unique values into consistent action. 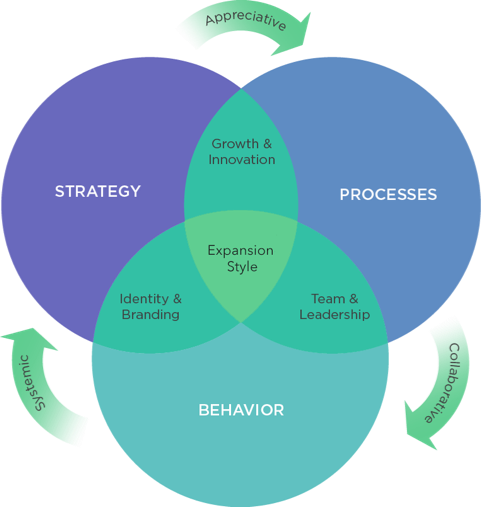 That way, we align your strategies, values and procedures and mirror the most vital factors across your organization. We co-create unique and authentic future visions! During all phases of our collaboration, we leverage your collective intelligence to find new solutions that are based on existing success factors. That way, we leverage the unique knowledge and insights that only members of the organization can have and increase awareness, commitment and engagement at the same time. “Growing Together”: A Case Study of an Appreciative, Systemic and Collaborative Organization Re-Design. A study of a case applying our systemic, appreciative and collaborative approach has just been released in the book “Leveraging Human Factors for Strategic Change.” The article is titled “Growing Together”: A Case Study of an Appreciative, Systemic and Collaborative Organization Re-Design.” It describes a case of an organization that successfully implemented a holographic organization design using our approach. Additionally, this case has been accepted for publication in an SAGE academic journal this summer. LC GLOBAL HAS BEEN A PROVIDER OF ITS SERVICES TO MICROSOFT FOR A NUMBER OF YEARS. CORPORATION WITH LC GLOBAL MADE OUR WORK MORE EFFECTIVE AND IMPACTFUL BY PROVIDING FOCUSED ATTENTION AND SUPPORT IN A NUMBER OF CRITICAL AREAS OF HR AND ORGANIZATION DEVELOPMENT. OUTSTANDING SERVICE; DEEP COMPETENCE AND PROFESSIONALISM DESCRIBE LC GLOBAL FOR ME. I WOULD GLADLY RECOMMEND LC GLOBAL'S SERVICES TO OTHERS! I HAVE BEEN WORKING WITH LC GLOBAL ON EXECUTIVE COACHING INITIATIVES AND ORGANIZATION DEVELOPMENT MATTERS FOR ALMOST A YEAR. WHAT STARTED AS A PARTNERSHIP FOR DEVELOPING NEW STRATEGIES AND IDEAS HAS EVOLVED TO INCLUDE A DISCUSSION OF HOW TO MELD THE GROWTH OF A NEWLY FORMED NON-PROFIT FOUNDATION WITH OUR SOCIETY'S CURRENT ACTIVITIES. THE PROCESS HIGHLIGHTS OUR CORE ORGANIZATIONAL VALUES AND ENSURES THAT WE MEET OUR OVERALL AMBITIOUS GOALS.